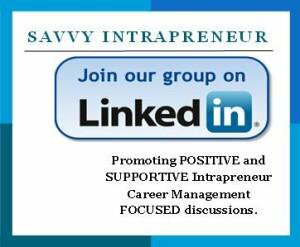 Savvy Intrapreneur is a management consulting organization, that provides organizational change management assistance, coaching skills, process analysis, technology implementation, strategy development, and operational improvement services. Please fill out the form below for information on Savvy Intrapreneur's Leadership and Financial Asset Mentoring. Looking to Implement Intrapreneur Employee Resource Groups (ERG)? 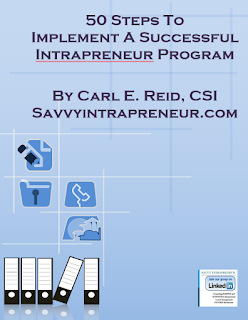 Savvy Intrapreneur can provide Benefits, Solutions and RESULTS with social media strategy consulting,eBook Publishing services, blog coaching services, speaking engagements, panel discussions, business / career coaching, TV/radio interviews or comments on blog articles published. Or call directly at 201-222-5390 Savvy Intrapreneur is a management consulting organization, that provides organizational change management assistance, coaching skills, process analysis, technology implementation, strategy development, and operational improvement services. Making Things Makes Us Better Leaders - Good leaders see past their tasks to become stewards of what might be.